Michael from the executive office can always be counted on to have whimsical stuff on his desk, from a mug of confetti to a jar of smells. So, Silly Puppets (kiosk D8) at Bank of America Winter Village Holiday Shops was right up his alley. I am a serious procrastinator when it comes to gift-buying for the holidays. Each year, it feels as though, out of nowhere, I am abruptly confronted by the holidays with little time left for purchasing. And then the scramble begins. Luckily for me, this year the Holiday Shops at Winter Village was just a crosswalk away. I was spoiled for choice. With so many options available I needed to narrow down my search. And then I saw a wall of smiling faces. Puppet faces courtesy of Silly Puppets. When you walk into the kiosk you are greeted by dozens and dozens of different characters, from a curly-haired mermaid to a wizard who looks very much like Merlin. 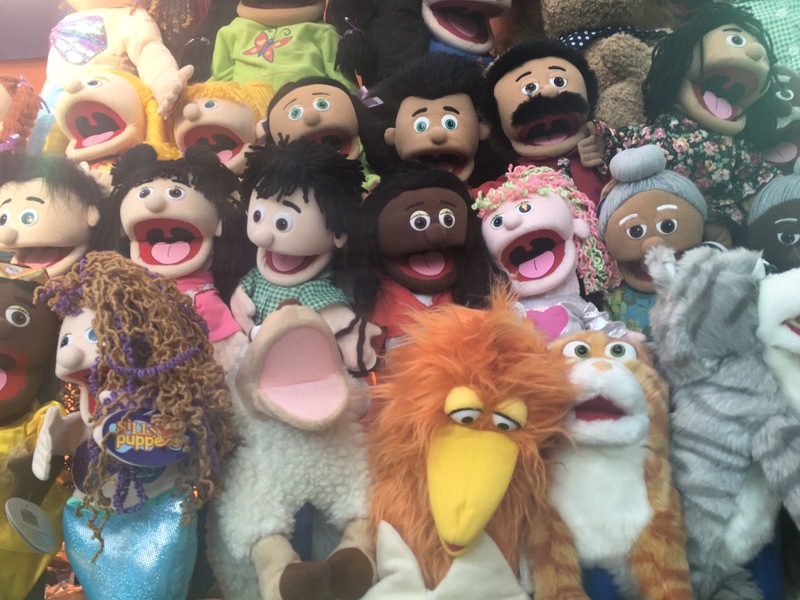 The puppets come in various sizes. For those looking for a puppet pal they can operate single-handedly or display on a shelf at home, the 25 inch puppet is a good option. 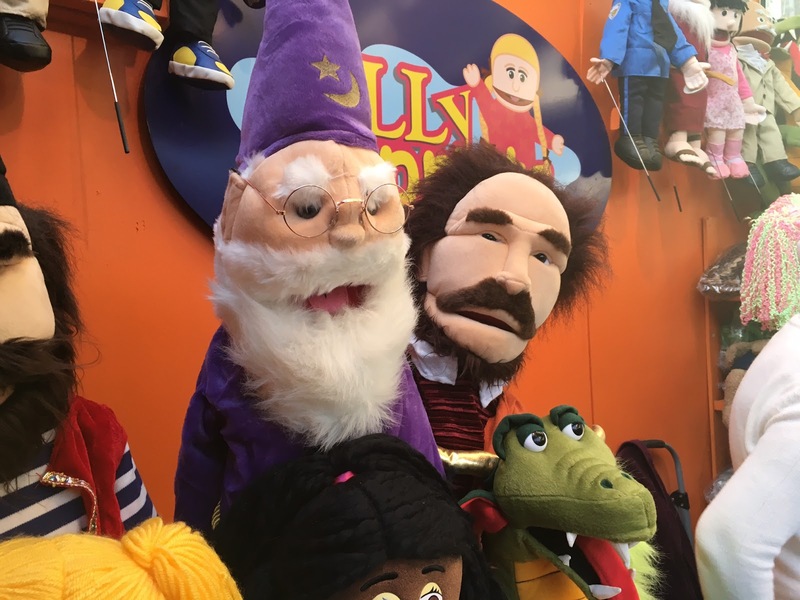 Looking to show off your expert puppeteering skills? Then the 30 inch option, complete with arm rod attachment for extra dexterity, is the puppet for you. What an array of personalities. 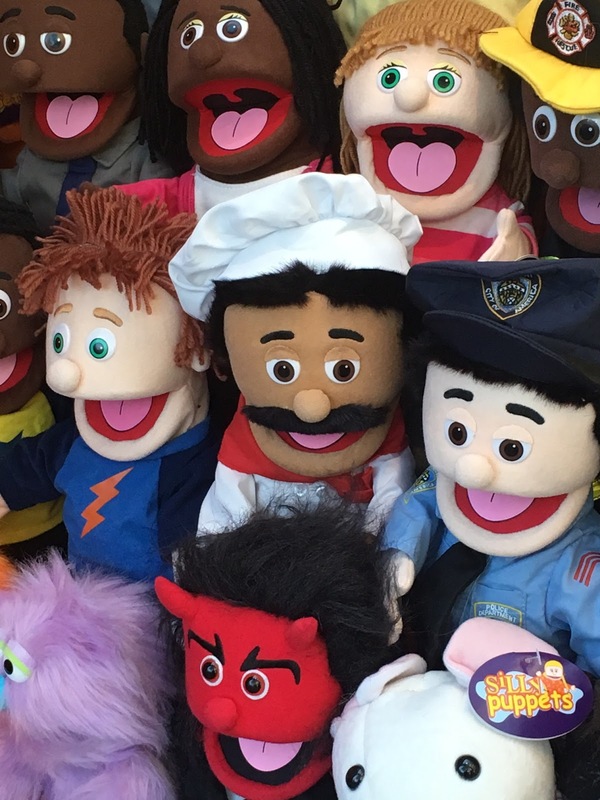 Given the wide selection of characters, feel free to take your time finding the right puppet for you. I went with Luigi, the mustachioed chef. I choose Luigi because my goal for the New Year is to cook more. I saw him has a fun companion in the kitchen, motivating me to make dinner instead of order take out and challenging me to try something new. Also, I thought making up a voice for him would be really funny.